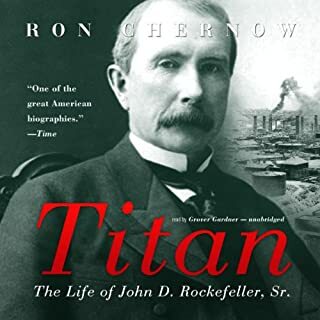 The national bestseller chosen by The New York Times Book Review as one of the ten best books of 1991 is now available as an audiobook. 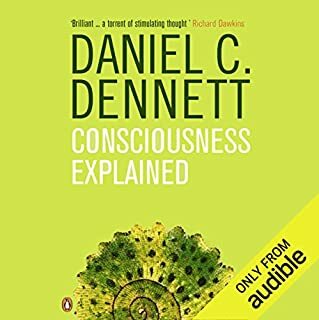 The author of Brainstorms, Daniel C. Dennett replaces our traditional vision of consciousness with a new model based on a wealth of fact and theory from the latest scientific research. 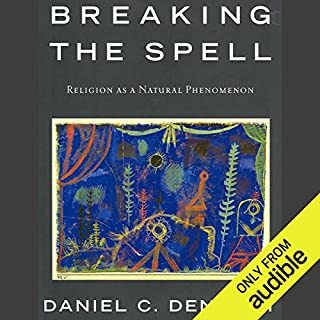 In a book that is both groundbreaking and accessible, Daniel C. Dennett, whom Chet Raymo of The Boston Globe calls "one of the most provocative thinkers on the planet", focuses his unerringly logical mind on the theory of natural selection, showing how Darwin's great idea transforms and illuminates our traditional view of humanity's place in the universe. 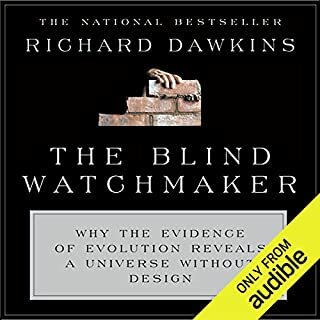 Dennett vividly describes the theory itself and then extends Darwin's vision with impeccable arguments to their often surprising conclusions, challenging the views of some of the most famous scientists of our day. 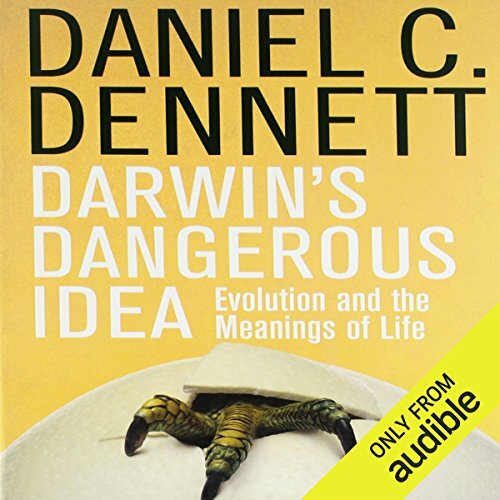 ©2013 Daniel C. Dennett (P)2013 Audible, Inc. If that’s what you’re into, all 27 hours of narration by Kevin Stillwellmakes this read quite enjoyable! resented. Very rich in questions and ideas that shows the breadth and depth of Daniel in this field. Being from a computer science background I particularly enjoyed the chapter on Chomsky, Turing, & von Neumann . Also, the critique of Gould work was very informative. Excellent work overall from Dennett. A summarized version may be more appreciated by the larger public. Would you listen to Darwin's Dangerous Idea again? Why? Yes- but considering the tome is 27 plus hours cover to cover, I will reserve a second listen for a winter stay in Antarctica or a South Pacific solo sailing cruise of long duration. The ingenious meld of philosophy,history and biological science. What does Kevin Stillwell bring to the story that you wouldn’t experience if you just read the book? He is gifted with a vocal tone and style that is neither boring nor overly stimulating. It's just right. Challenging All Barriers You Took For Granted. Sky Hooks need not apply. This is by far the best book I have read this year. It uses the narrative of Darwin's deceptively simple idea of making complex things from a very simple algorithm. The author beats this thought in to the reader and at the same time covers how the world changed because of that. The book is really more philosophical than scientific but it's accessible to the non-philosopher like me. He starts by telling the listener the mindset during Darwin's time. Plato's universal forms would lead to absolute categories such as species (either your a donkey or a horse) and Aristotle's importance of essence for the nature of things to be the thing. Darwin had to overcome that kind of thought. Darwin dances around what a species is in his "Origins of Species" because for his theory to work you must realize that there are intermediaries between objects and the thinking at that time would not allow for intermediaries. All of the above, I got from just the first chapter in the book, and you too can be just as entertained as I was! The author tells me that Locke would say that mind must come from mind, that is God must have created man. Now, I have finally started to understand Locke. Oddly, David Hume, almost had the concept of evolution by natural selection but just couldn't take the next step to get there. (How I love David Hume!, a man a head of his times). Hobbes gave us "just so stories" to explain the creation of society and Leviathan. The nearly infinite decision space (what he calls the 'library in the tower of Babel') gives false security to believers in Sky Hooks (deus ex machina believers, Gould, Penrose and Chomskey), as opposed to the believers in sky cranes (Darwin's Brilliant Idea). 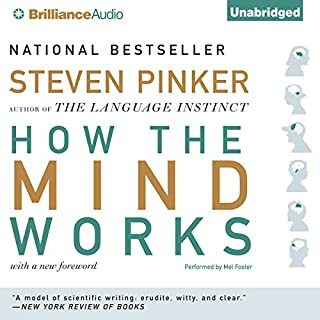 The author has long sections on Psychology (Skinner is wrong! ), and morality (morality is complex!). He even delves into one of my favorite topics, Godol's incompleteness theorem and how Penrose is wrong to say it proves artificial intelligence will never succeed. All the time, the author uses the narrative of Darwin's Brilliant Idea, simple algorithms can lead to amazing results. 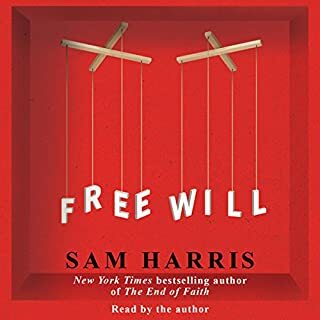 A negative review on audible led me to this book. 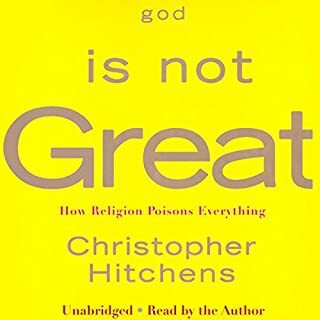 The reviewer said that the first half of the book was about philosophy and how good Dawkins is, and the second half spends most of the time criticizing Gould. I knew I wanted the book after having read that review. (To the reviewers credit, he's not being nasty, but fairly accurate). I loved this book. It's a rare one which challenges my beliefs, keeps me focused and transcends me to hard to reach places in my mind which makes me really think about my place in the universe and understand it just a tiny bit more. Besides, it's fun to be able act like an intellectual snob while talking in a waffle shop with a stranger and have the person think I'm intellectual heavyweight while knowing I only know that stuff because I just listened to one fine book, and more importantly keeps me from having to listen to his stories about some unimportant job he had thirty years ago! Right up front I will admit: I did not finish this book. I got about 2/3 through and stopped. 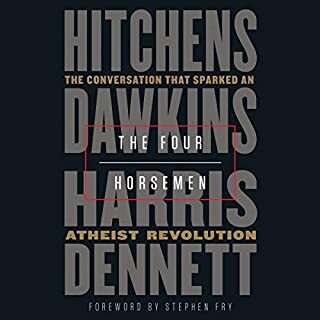 Daniel Dennett may be one of the "four horsemen" of the new atheism, but if so, he's the most boring of the four. 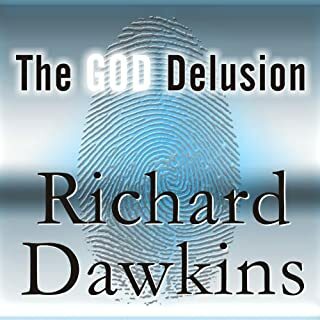 He obviously idolizes Richard Dawkins. Everything Dawkins ever said is profound in the extreme. 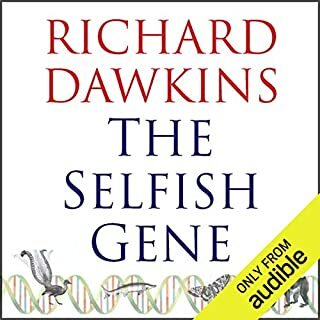 There's no need to read "The Blind Watchmaker" or "The Selfish Gene" if you read this, because Dennett quotes virtually every sentence in those books, and wastes no opportunity to tell us how profound and original each one is. On the other hand, he absolutely despises Steven Jay Gould. He spends a majority of the latter half of the book outlining everything that's wrong with everything Gould ever said or did. The first half of the book did have some interesting stuff. There was a chapter about John Conway's Life simulation that was very interesting. Some interesting stuff about memes (that I'd already read in Dawkins, of course, but still interesting). But then he decided to dedicate the rest of the book (or a very large chunk of it) to lambasting S. J. Gould, and to a lesser extent Noam Chomsky. Also, everyone who ever said a word in support of Gould is an idiot. I fast-forwarded to close to the end and he was still at it. At that point I called it quits. I'm giving the book three stars mainly because I did enjoy the first half. Basic reading for th educated individual. Great read and very insightful. 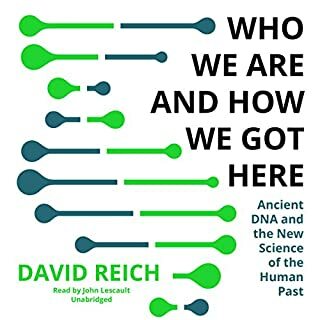 It is a well written discussion of the various discussions that have gone on in the scientific community concerning evolution. Only 20y old, but already a classic, deserving to be "read" periodically, not just once! 1,5x speed works better, though. Darwinism relates to and impacts everything, and Dennett masterfully tells us how many people get it all wrong. This book was an absolute joy. Dennett is a fantastic writer. He's really good at mixing astute analysis with insightful quotes from luminaries. 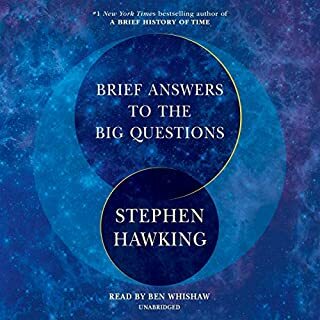 The narrator was the best I've heard on Audible, far and away. He inflects his voice perfectly, making even seemingly dry material fresh and profound. I didn't think this book was too dense for audio and I thought the part on Gould was essential to the thesis. Darwin expunged teleology from nature and Dennett guides you through this deep insight and its discontents. Many have said this is a classic and I would agree. I usually love reading anything science, especially evolution, but I just could not make it through even a whole chapter of this book. Part way into the first chapter, I skipped to the 2nd, hoping it would get better. I did this a few times, but every chapter I tried was just tediously wordy. The ideas that I did hear sounded good, and even interesting, if they had been a bit more concise. Perhaps lovers of philosophy will enjoy this more. This is an exhaustive work for its day - a shame it couldn't have been updated to include the last 20 -25 years . The book meanders into the somewhat squeamish world of philosophy and becomes a bit bogged down in the last 1/3 to 1/4 . All that stuff about naked mole rats and Nietzsche could have been spared the listener - or just politely acknowledged at best . The chapter about the library of babble I thought was the best of the entire book .